It’s hard to believe you’re already 24 years old. I love the man you’ve grown into and who you’re becoming in Papa, Jesus & Holy Spirit. I have a story to tell you. When you were a baby, we had you baptized to make the family happy, although I knew that baptism was something you would choose to do when you were old enough to make that decision for yourself. A few years went by and I learned about the purpose of dedicating your children to the Lord, like Hannah did with Samuel in the Old Testament. You see, when I became pregnant with you, it was a sign to me that Father still loved me and still wanted to bless me. And He did bless me with you. When I understood what dedicating you to the Lord would mean, I did not hesitate. I gave you to Him, fully and completely. You are His son first before you are mine. Fast forward a few years. I was driving back from Branson, MO with my friend Lydia. I was driving her car. She was sitting quietly in the passenger seat, praying in tongues. I was thinking about you during this time. Then Father spoke up. He said (about you), “He has been set apart, just as you were.” It is important for you to know this and have this awareness each day. You are set apart unto the Lord. You are His special treasure. There is a visual I want you to have going forward into the rest of your life, day by day. You are seated in and with Jesus in heavenly places. This is where you live from, rule and reign from. It is where you serve others from, where you bless and pray from, where you steward the earth from. It is your inheritance as a son of God. It is honor, privilege and birthright. You wear a royal robe and a crown with precious gems and stones inlaid in it. Ask Jesus to help you see yourself the way He does, and how you are known in Heaven. It will change how you interact with others. You are royalty. I bless you with courage, strength, passion and purpose. I bless you with wisdom from above that is first pure, peaceable & gentle. I bless you with soft answers that turn away wrath. I bless you to receive Father’s love into your heart like a champion each day, to let it flow back out to others in rivers of living water. Father, I ask You to bless Kyle with a fresh baptism of Holy Spirit, a fresh infilling and fire, an awakening of his prayer language and an awakening of who he really is IN you. I ask to give him wisdom each day, and to place a beautiful mantle of humility on him so pride has no place in him. He simply walks in confidence with You each day, secure in Your love. I thank you, Father, that the plans you have for Your son Kyle are good, and they will come to pass. Keep Him in the center of Your will and order his steps daily. He only hears Your voice, Lord, and the voice of a stranger he does not follow. I bless the wife and family You give him, as well as the generations that follow. Thank you, Father, for your love and goodness poured out on Kyle every moment of every day. Kyle, I love you beyond words. From me your mom, your friend, your biggest fan! I’ve been having some very interesting and hysterically funny conversations with Holy Spirit lately. Conversations that are way over on the lighter side. I must need them. I’m in the kitchen and this old song starts playing my head. What?!?! It was, ‘Goodbye to You,’ by Patty Smyth & Scandal. Now, I haven’t had even a drop of caffeine hit my lips yet, and I began to howl in laughter. I took a sucker punch this week from someone who had nothing better to do than poke the bear one last time. Holy Spirit highlighted this incident to me, too. “It’s okay to be mad,” He said, while I landed an air kick to someone’s imaginary backside, laughing all the while. I also have territory to take back. Maybe you do, too. This can be a little tricky, and maybe a little painful. You have to press through it. But this is what He said: “The new memories you make in these places will dissipate the old ones until there is no more memory of the old ones.” I nodded. Yep. That works just fine. I can walk that out. I love how the Lord will use ANY music to help me see something and move through it with grace. He’s not afraid of my feelings and He’s using different media to pull up old emotions so certain memories can be healed. If you’ve got anything, be it physical or emotional, that you need to kick to the curb or take to the trash or Goodwill today, this song might motivate you. I’m telling you, people, don’t allow yourself to be entangled with anything that will slow you down. Ever. You made to be FREE. Childlike. I have a friend who hums Sesame Street songs on a regular basis. I LOVE this. It’s delightful. Last night, I was sitting outside after swimming enjoying the big, tall Douglas firs in the park, getting my joy back, and Holy Spirit pipes up again. “It wouldn’t hurt you to learn a couple of Sesame Street songs, either.” I shook my head and started to laugh. That’s one of my assignments for the day. Me, YouTube and Sesame Street. Be on the look out. You might find me humming Sesame Street tunes on a sidewalk near you. My drive to work weekday mornings is really precious to me. My car is my prayer closet, and when I’m in my car, it’s me, Papa, Jesus & Holy Spirit. I worship. I pray. I release things. I soak in His Presence. I listen. It’s my best time, even when circumstances aren’t perfectly aligned. This morning felt a little more special to me. I’ve been questioning some things, taking a deeper, closer look, and asking Holy Spirit to lead me into all truth. I’ve said it before, but today there was a different liberty in it. I continued. After I finished speaking, I had an open vision where I saw His grace like a well, and it was deeper than what we’ve thought, deeper than what we’ve been taught. Ask Him about this grace for yourselves, loves. Ask Him where there is mixture in your thinking, in your ways, because when the law is mixed with grace, it becomes a mess. We need the layers of the law removed from our vision, from our hearing, from our speech, from our hearts. Be willing. Holy Spirit will lead you into all truth. The world has collectively witnessed events with the ability to shake us to the core of our beings. I’ve been very aware of the presence of fear trying to unsettle me. I have also been keenly aware of my need to move beyond it, and break through it, arriving in the place where the enemy has nothing in me in the very same way he had nothing in Jesus. I’m intent on learning new responses both internally and externally to walk in this dimension on a consistent basis. It’s a combination of increasing how I see my Heavenly position and what I am saying to reinforce it. Holy Spirit reminded me of these powerful, prophetic lyrics from The Alan Parsons Project, “I see the world, and I’m looking from a higher place, way above it all, standing on higher ground.” There is an urgency to contend for and remain in this rightful position next to Jesus. It’s what Dad wants for His kids, and He wants us to step into this place now. When I read this verse recently, my eyes were drawn to the last 4 words: “But you would not…” Clearly, we have to consciously choose quietness and confidence to have strength. “We are at a pivotal time in history. My children, I want you to choose well. I want you to see the glass half full. He also showed me the word, “valiant.” Synonyms to valiant include, “brave, courageous, heroic, fearless, noble, gallant, intrepid, bold. We are all these things because greater is He that is in us than he that is in the world. We are all these things. Our strength is found in quiet confidence. Our confidence is found in our identities as sons and daughters of God. Did you just feel the shift in your spirit? Truth has that effect. Heaven is calling us higher, encouraging us to choose quiet confidence. Hear the cloud of witnesses cheering and applauding. They know what is coming and they’re so excited for us. We have promises to receive and a Kingdom to expand. I bless your ears to hear the sounds of Heaven. I bless your eyes to see that there are more for us than there are against us. I bless your heart to be valiant, brave, courageous, heroic, fearless, noble, gallant, intrepid and bold. When chaos is all around you, dive deep into that well of peace within you. Dive deeper into His perfect love. Shift your focus at light speed. Say His Name. Jesus! Lift your arms in worship. As you do, you become a refuge for others, an open portal to Heaven. Praise past it all and bless the Son! I included several other confidence verses to build you up. I bless you with unshakeable, quiet confidence. Many of you know that I feed my animals at work. 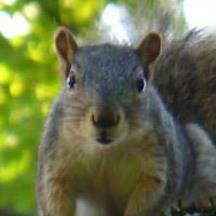 My critter friends include a couple of squirrels, some scrub jays and a crow or two. It used to be that I would try to feed only the scrub jays. I love their brilliant blue colors and personalities. They always have something to say. After a time, the squirrels won my heart and I began to feed and talk to them. One of these little guys will even run into the office when I have the doors open. He comes in and sits in front of my desk until I throw him a peanut. He grabs it and scoots out the door. When he’s eaten that one, he comes back for another. The crows have now won my heart, too. I love to watch how they use their powerful beaks to break through the peanut shells. They’re strong, often misunderstood birds. I identify with them. All these creatures come to me often. They wait outside on top of the wrought iron railing. They look in the window. They know I’m in here. They simply expect that I will feed them and love them; they’re right. I talk to them when I feed them. I expect them to be eating out of my hand soon. As one of the crows perched on the railing this morning, I hesitated to take out more peanuts. See, the crows can stuff several peanuts into their gullet at one time. Often, they get more peanuts than the scrub jays and the squirrels. 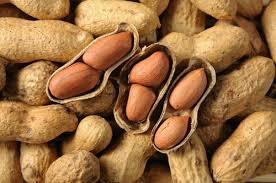 In my hesitation, I heard Dad say, “Everyone gets peanuts.” I smiled. No one is left out of receiving His love. On May 9, 2015, Father gave me these words. I meditate on them often to come up higher, to see as He sees. Knowing His heart and mind toward humanity is even more important now in this present season. He also said we are not to judge between good and evil. All sin has been judged and paid for. Judgment in and of itself is what causes evil. “The fruit of the Tree of Knowledge of good & evil is bitter. It has no life in it and it leaves a bad taste in your mouth. Children, it is so much sweeter & beneficial to you, humanity & creation for you to eat of the Tree of Life. I created this place here next to Me for you. beauty in which all things were created. In this place, your words will bring life to humanity & creation. have created you, so were you made to create, My Bride. You will not see race. You will not see religion. You will not see income. You will see only Me in each one. Peace will reign where you walk in every land you visit. Kiss the hand of each person you meet. Honor them as My child and introduce them to Me. My Presence goes with you. Do not fear deception. I will keep you. I’m taking you back in time as I share a story and apologize to some folks. It’s necessary and ties into the rest of what Dad is saying in this post. I used to attend the annual Christians United for Israel convention in Washington DC. A girlfriend and I went together one year, joining busloads of people from around the country. Conversations were easily overheard on the bus. We eavesdropped on two black women wearing traditional African dresses. They spoke excitedly of their support for then presidential candidate Barack Obama. I was self-righteous, full of pride and arrogance. During this time of my life, I was fully indoctrinated into Zionism and the Republican Party. I’d been taught from the pulpit that we were right and everyone else was wrong. Talking to each other, but directing our comments to these ladies, we remarked, “How can you even call yourself saved or belong to this church if you support Obama for President?” I know we said more than that. They heard us; their expressions showed their hurt. Ladies, I am sorry. Please forgive me for my words and arrogance. I was wrong. Flash forward a couple of years. Father tells me to go to the annual conference again, but this time, He has lessons to teach and layers to remove. I was awakening, asking questions about stuff and asking Him to show me things from His perspective. I was doggedly asking Him to lead me into all truth. Things were stirring in my spirit. My heart was conflicted between what I knew Jesus said and what I was hearing from the pulpit. The conflict grew as I heard (without the usual filters) the words being released into the atmosphere in the Washington Convention Center. In the middle of some ‘news briefing’ by a correspondent reporting on terrorism, the light bulb came on. We were all gathered in agreement to call for the annihilation of a people: the Palestinian people. We were in agreement with the covenant that unsaved, religious Jewish people live by. In continually remembering the past destruction of Jews in the Holocaust, the state of Israel justifies their current treatment of an entire race of people to the world and to the Body of Christ. The amount of effort, time, money spent to perpetuate this ideology is staggering. It causes much of the Church to be out of alignment with the Gospel. It’s a lens we must remove from our vision as children of God. Palestinian people, I apologize to you for not honoring and loving you. You are worth as much to Father God as I am. I am sorry. Please forgive me. The negative labels assigned to you were wrong. Today, I bless you. Value is defined as worth or importance. As a verb, it means to appreciate or assess. You have value; I have value. Our value is infinite and immeasurable simply because we are God’s kids – that’s all and that’s enough. Often, however, our value is defined by words or labels used to describe us. Labels describe a state of being, a characteristic, perhaps current or past actions and behavior. Holy Spirit ran me through an exercise on a recent drive home from work. This exercise challenged certain paradigms and mindsets. I invite you to do the same exercise with Him. Below is a list of words commonly used to label people according to their conditions, characteristics, ethnicity or behavior. Choose someone you know and place them before you in your mind. As you read each word, pause for a moment. Allow yourself to assess your emotional and visual responses. – Does your potential for interacting with this person increase or diminish? – Do you think of them with honor or disrespect? – Do personal experiences you’ve had color your perception? Speaking the first word ‘label’ over the person, I took a step back. That label created distance. Then, a box formed around the person. Labeling them with the second and third words had the same effect: more distance and boxes. My choice of labels resulted in a wide berth of ‘safe’ distance from them. I noted, too, that I could no longer hear or see them. My vision of their true self was now distorted. Their value (to me) was based on my perception of them within the context of labels I selected. How often do we subtly give ourselves reasons and excuses to disengage or altogether avoid people when their appearance or behavior falls outside our definition of normal? How often do we diminish their value by the word labels we assign to them? The ugly thoughts that follow are worse. The enemy steps right up to help us with the silent accusations. “That unwed pregnant woman? She got herself into that mess. Let her get food stamps and welfare. She’ll probably have more kids by a different fathers. Why should I help her?” I could go on, but you get the idea. Assigning value labels graduates into permission slips to assign blame. For example, election cycles amplify the blame game. One party blames another for the condition of the country. In reality, these are political and religious spirits speaking through people unaware they’re voices were hijacked to accuse others. Behind these demonic voices are larger spirits of fear and greed. Each of them is given assignments to bring destruction in one form or another. And so it goes – if we allow it. We can actively choose a better way by blessing. We can assign values to increase and build people up. We can ascribe honor, value and greatness the way God does toward us. We can use words and prophecy. This is the heart of the prophetic in the New Covenant. This is calling those things that are not as though they are. We call people up to their true identity in Jesus Christ. This is the mind of Christ, holding the thoughts, feelings and purposes of Jesus’ heart. Our vision changes and our words change. We agree with what Heaven sees and says about people. It really is that simple. “The fruit of the Tree of the Knowledge of Good and evil is bitter. It has no life in it, and it leaves a bad taste in your mouth. Children, it is so much sweeter and beneficial to you, humanity and creation for you to eat of the Tree of Life. This is where your son-ship resides; it is your rightful place, position and privilege. It is always your choice to come up higher, but know, My child, I created this place here next to me for you. If you will sit with Me, you will begin to see the perfection and beauty in which all things were created. In this place, your words will bring life to humanity and creation. They wait for you to speak new creation into being, for as I created you, so were you made to create, My Bride. You will not see race. You will not see religion. You will not see income. You will see only Me in each one. The words you speak will bring healing and health, supernatural provision and abundance. Kiss the hand of each person you meet. Honor them as My child and introduce them to me. My Presence goes with you.